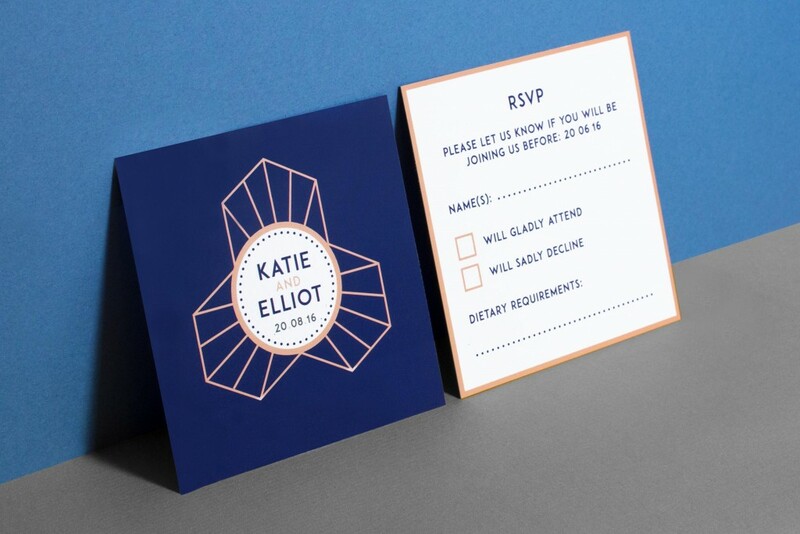 Are you finding it hard to decide how to word your wedding invitation RSVP cards? 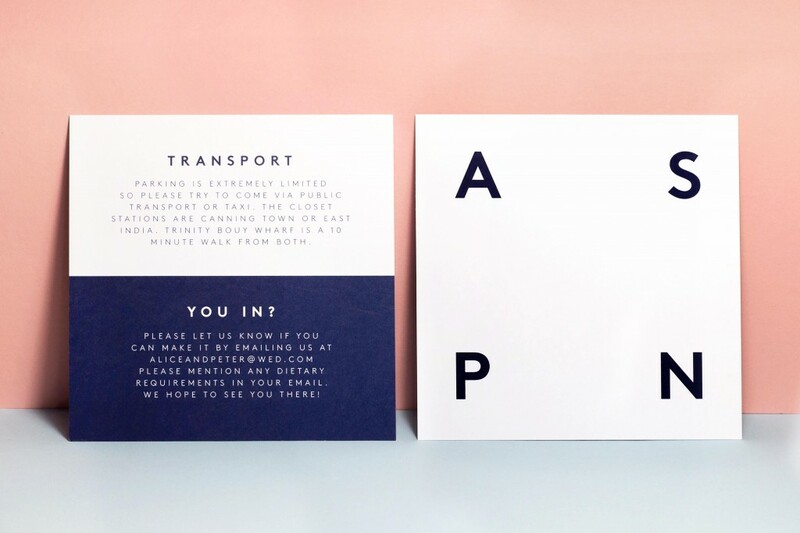 Looking for modern, fun, alternative wording that reflects your personalities? Well look no further! 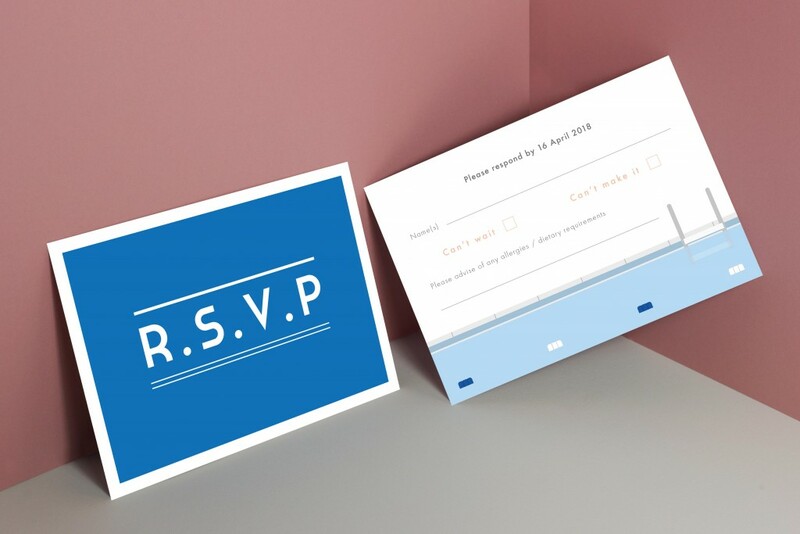 Here’s our guide to nailing your RSVP wording whilst making sure you get all of the necessary information back from your guests that you need! 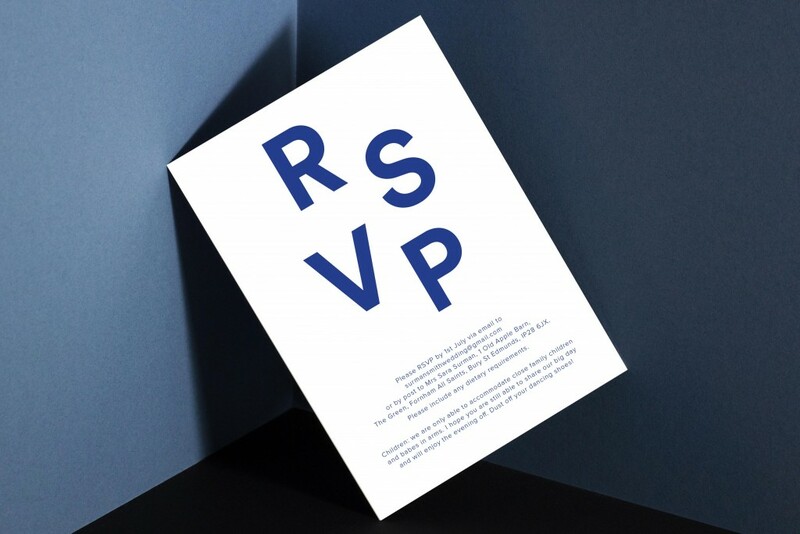 There are a few key things that all RSVP cards MUST include. 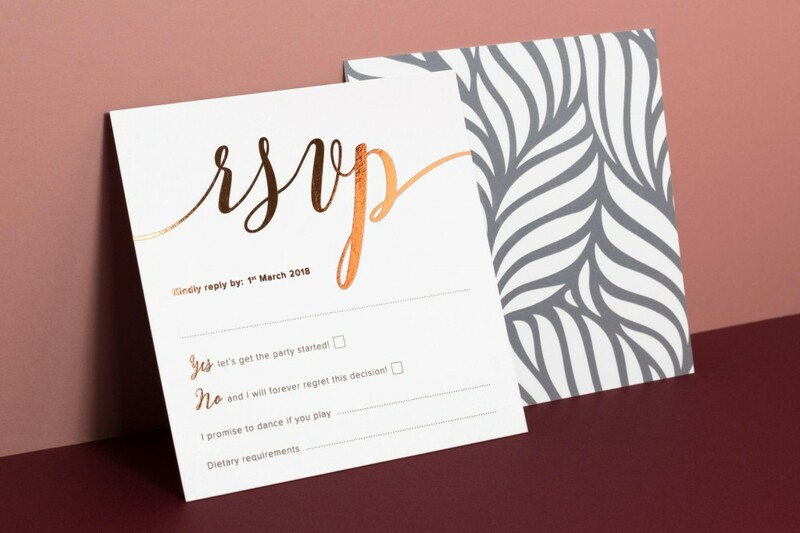 The best option is to leave a line for your guests to handwrite the names of who can make it, just incase not all of the people listed on the invitation are able to make it to your wedding. 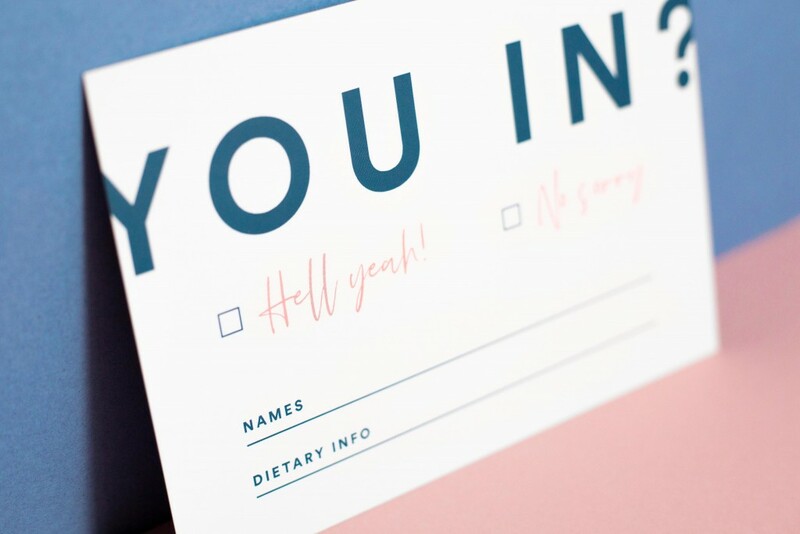 Give your guests two clear options to respond with – essentially whether they are attending or not attending. These work best when they are tick boxes. You could also provide them with a line where they can handwrite the names of who can and who can’t attend. If you are providing food you need to be aware of any serious food allergies that guests may have or whether they are Vegetarian or Vegan. 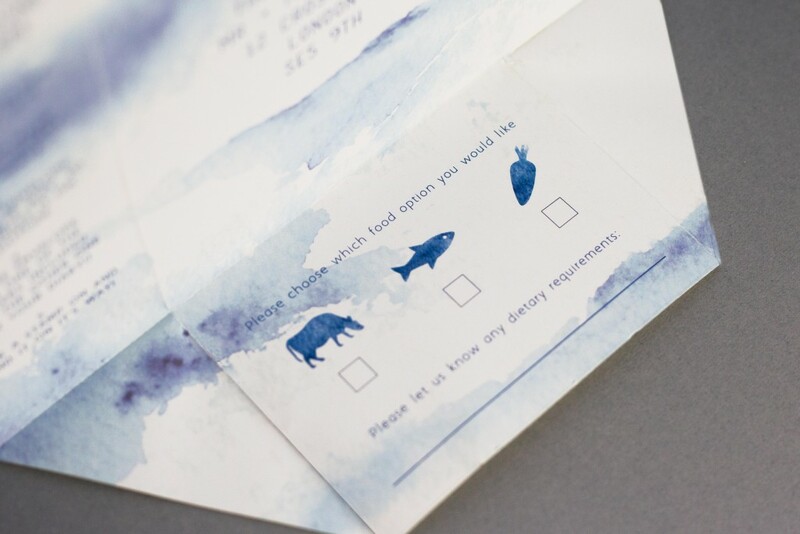 If your guests can pick their food, the RSVP card would be the best place to ask them which options they would like to pick. If you would like some help making your wedding playlist why not ask your guests for some song suggestions that will make sure they get up on that dance floor! 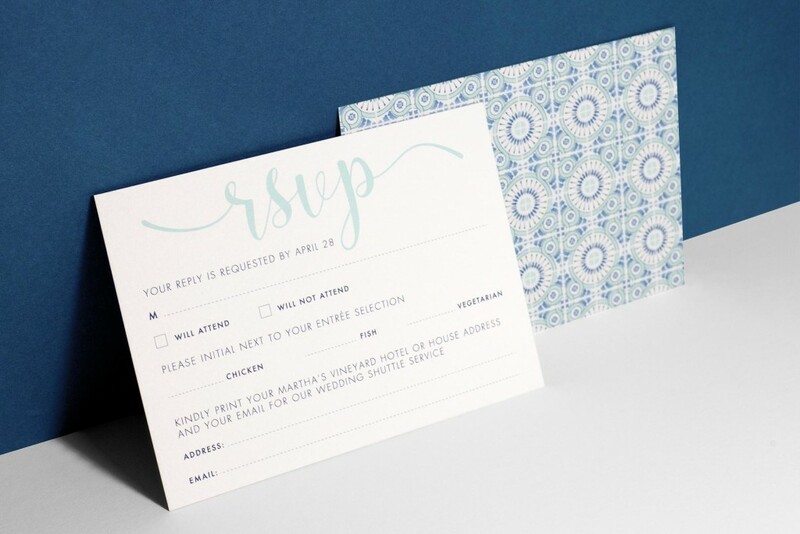 If you are having a weekend wedding, you made need to know if your guests can make it to any additional celebrations such as a BBQ the night before or a breakfast the following day. 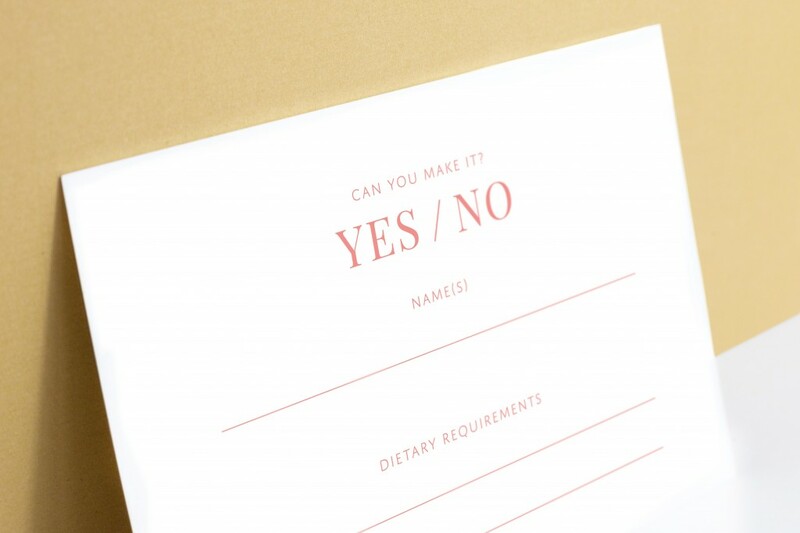 This means you will need another question followed by two response options for your guests to fill in. Yes lets get the party started / No and I will forever regret this decision! 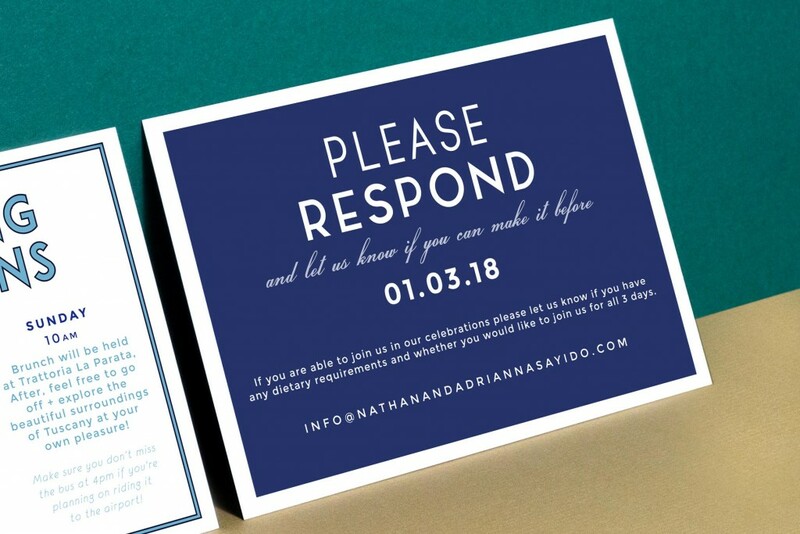 If you have decided you would like your guests to email you their responses, just make sure your wedding invitation specifies all the questions you would like them to reply with like the following examples.